This is a core trail along the valley of the River Irvine with associated local walks. Links the towns of Hurlford, Galston, Newmilns, and Darvel/Priestland along A71 east of Kilmarnock. The trail was established under the auspices of The Irvine ValleyRegeneration Partnership . A leaflet is available from tourist information centres; or visit the Ayrshire Paths website. The various sections of trail and the several local walks access a wide range of typical managed rural environments: river bank, wetland, woodland, farmland and town green spaces. A good range of the species associated with these habitats can be expected. Three areas of particular ornithological merit are described in their own location reports: East Holmes Marsh and Ladyton Loch, Big Wood and Loudoun Hill. Access along the A71 is not recommended. Instead, approach via byways to the north. 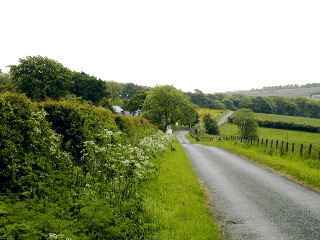 A71 not advised, but good byway network along the valley, especially the north side. 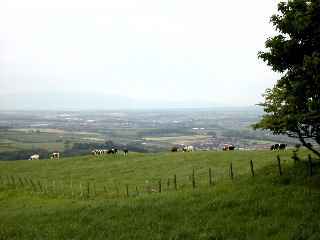 This entry was posted in Locations - East Ayrshire on 28-Jun-2003 .